A few weeks ago, the project suffered a delay when a fan and motor burnt out. This problem has been resolved and the new components were installed in mid-November. The kiln was then tested, and airflow is now 100%. The new fan and motor have a high fire rating and provide a substantially increased volume of air suction - something that was lacking previously. Nova simulated a firing as per an open clamp kiln. 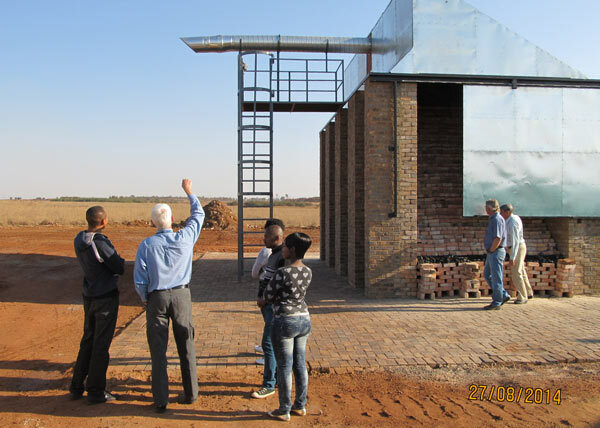 Nico Pretorius reports that the fired bricks were very close to the normally quality achieved from a clamp kiln for both semi-face and NFP bricks. 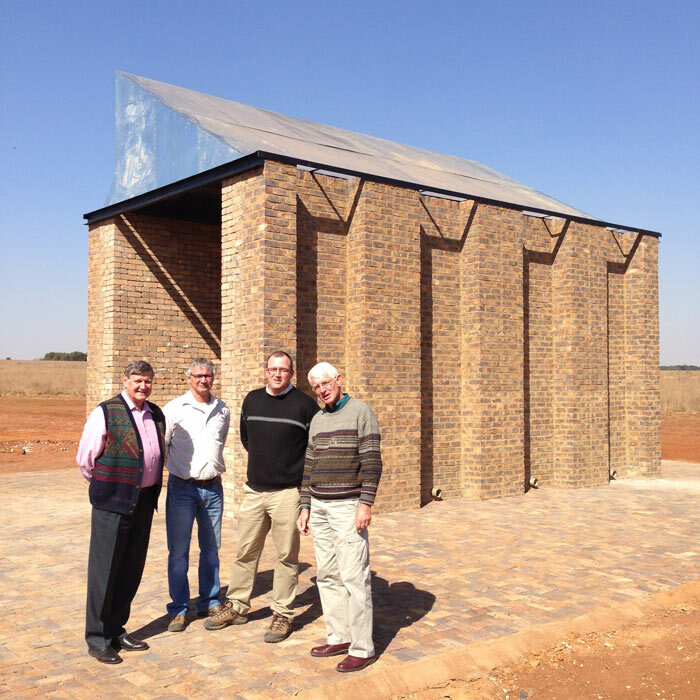 The Nova team will now pack a new kiln between the walls, and expect to start firing towards the end of November. Ola and the students are ready to monitor. One more firing is planned for 2014 as part of the learning curve, and the real test will begin in January 2015. A group involved in the test will be invited to attend a planning meeting to report on the process. The facility is being used to test various fuels, packing densities and firing methods in order to determine the impact of these variables on emissions and fuel economy so that benchmarks for both can be set. Once properly commissioned and calibrated it could be used for further research, for instance for the determination of the emission of other pollutants, the use of alternative fuels and fluxes.